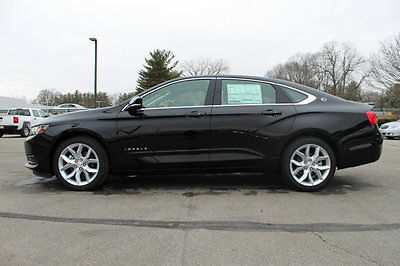 2017 Chevrolet Impala LT BRAND NEW $9,535 OFF MSRP!!! 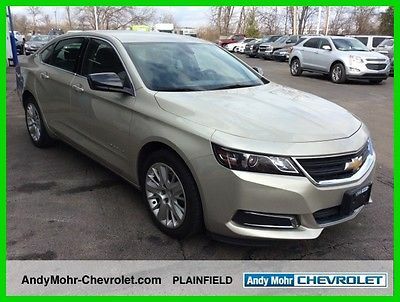 2017 Chevrolet Impala LT BRAND NEW 20% OFF MSRP $9,535 OFF!!! 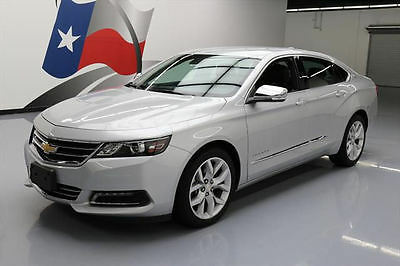 2017 Chevrolet Impala LT Sedan 4-Door Brand New $9,535 OFF MSRP!! Murray Motors Chevrolet430 N. Susquehanna TrailSelinsgrove, PA 17870 570-374-1151Ask for Ryan MSRP-$37,530Buy It Now Price-$27,995 $9,535 in savings!!! 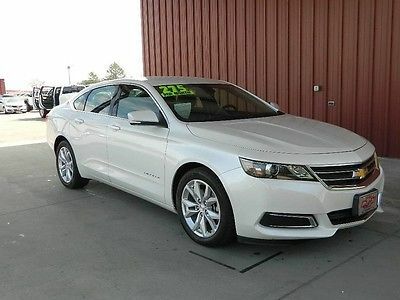 Inventory Type: New Year: 2017 Make: Chevrolet Model: Impala Trim: LT w/1LT Body Style: FWD Sedan (4 Door) Model code: 1GY69 Engine: 3.6L V6 Transmission: Automatic 6-Speed Exterior Color: Silver Ice Interior Color: Location: Murray Motors Chevrolet Technical • Fuel economy EPA highway (mpg): 28 and EPA city (mpg): 18Exterior • Automatic Transmission • Front-wheel driveConvenience • 4 Doors • 3.6 liter V6 DOHC engine • Tire pressure monitoring system • Transmission hill holder • 4-wheel ABS brakes • Daytime running lights • Dusk sensing headlights • Head airbags - Curtain 1st and 2nd row • Knee airbags - Driver and passenger • Passenger Airbag • Signal mirrors - Turn signal in mirrors • Stability control • Traction control - ABS and driveline • 8-way power adjustable drivers seat • Front seat type - Bucket • Split-bench rear seats • Intermittent window wipers • Privacy/tinted glass • Air conditioning with dual zone climate control • Audio controls on steering wheel • Bluetooth • Clock - In-radio display • Compass • Cruise control • Interior air filtration • Multi-function remote - Trunk/hatch/door/tailgate • Overhead console - Mini • Power heated mirrors • Power windows with 4 one-touch • Rear defogger • Remote power door locks • Satellite communications - OnStar Guidance • Speed-proportional power steering • Tachometer • Tilt and telescopic steering wheel • Trip computer • Video Monitor Location - Front If you have a trade in, contact dealer prior to using "buy it now" option. Vehicle transaction must be fully completed and picked up with in 3 days. Must place a $1,000 non-refundable deposit over the phone within 24 hours following purchase of vehicle. Buy it now price does not include sales tax and closing fees. Auction is subject to end early due to vehicle being offered for sale on dealership lot. This vehicle has been parked in my back yard for several months now being that I have brought a newer car, before it was my daily driver. I drive it around the neighborhood once every weekend to keep things running. I do not want to keep paying for insurance and registration on a vehicle that I no longer use. Very reliable and easy to work on. Once again the title is not available on this vehicle, only for parting out, rebuilding a salvaged vehicle. Bid with confidence, 100% seller rating here. PAYPAL available, USA BUYERS ONLY, GOD BLESS AMERICA! Syed Jaffery (855) 583-5152 18900 Northwest Freeway Houston Texas 77065 ? ? ? ? 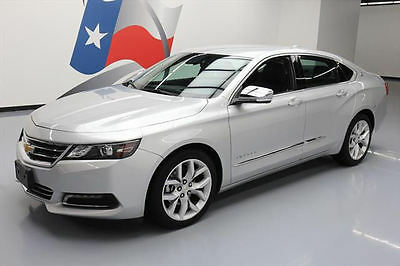 2012 Chevrolet Impala Sedan LT CARFAX Vehicle History Report VEHICLE HISTORY REPORTS Dont buy a used car without CARFAX! ?3 Owners ?Vehicle Qualifies for the CARFAX Buyback Guarantee ?No Total Loss Reported to CARFAX ?No Structural/Frame Damage Reported to CARFAX ?No Airbag Deployment Reported to CARFAX ?No Indication of an Odometer Rollback ?No Accidents / Damage Reported to CARFAX ?No Manufacturer Recalls Reported to CARFAX View Free History Report Disclaimer: Not all accidents or other issues are reported to CARFAX. The number of owners is estimated. See the full CARFAX Report for additional information and glossary of terms. ? ? Vehicle Information VIN: 2G1WG5E36C1310709 Stock: TC1310709 Mileage: 93,598 Color: Silver Trans: Automatic Engine: V-6 cyl MPG: 18 City / 30 Highway Drivetrain: Front-wheel Drive Description Look at this 2012 Chevrolet Impala LT . Its Automatic transmission and Gas V6 3.6L/217 engine will keep you going. 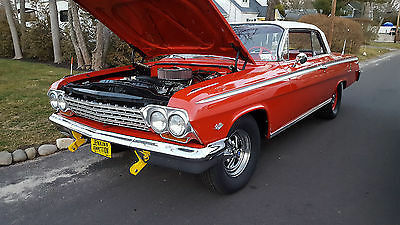 This Chevrolet Impala has the following options: Wipers, front intermittent, Windows, power with driver Express-Down and passenger lockout, Wheels, 17' (43.2 cm) machined aluminum, Visors, driver and front passenger illuminated vanity mirrors, covered, Trunk release, remote, Trunk emergency release handle, Transmission, 6-speed automatic, electronically controlled with overdrive, Tires, P225/55R17, all-season, blackwall, Tire, compact spare, and Tire pressure monitor. See it for yourself at Lone Star Chevrolet, 18900 Northwest Fwy, Houston, TX 77065. This vehicle has a Certified Clean Carfax. Our highly trained technicians inspected this vehicle and reconditioned it to Sonic Safety Standards. All recommended services are complete. 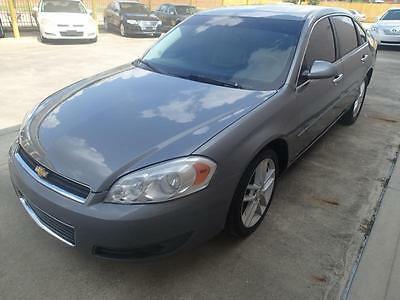 Options and Standard Features Basic Information Stock Number: TC1310709 VIN Number: 2G1WG5E36C1310709 Style Name: Sedan LT Make: Chevrolet Model: Impala Model Year: 2012 Vehicle Type: Sedan Vehicle Trim: LT Fleet 4Dr Sdn Interior Color: Gray Exterior Color: Silver Body Type: Sedan Engine MPG Automatic City: 18 MPG Automatic Highway: 30 Engine Description: V-6 Cyl Fuel Type: Flexible Fuel Fuel Induction: Direct Gasoline Injection Valves Per Cylinder: 4 Aspiration: Normal DriveTrain Driven Wheels: Front-Wheel Transmission: Automatic Wheels Rims: Machined Aluminum Wheels Spare Rim Type: Steel Drive Train Type: Front-Wheel Drive Suspension Independent Suspension: Four-Wheel Stabilizer Bar: Front And Rear Instrumentation Clock Compass External Temp Low Fuel Level Tachometer Trip Computer Roof and Glass Front Wipers: Variable Intermittent Privacy Glass: Light Rear Defogger In Car Entertainment Antenna Type: Window Grid Audio System: AM/FM Stereo Speakers: 6 Seats Drivers Height: Power Drivers Lumbar: Manual Drivers Power: 6 Seating Capacity: 5 Front Seat Type: Bucket Upholstery: Cloth Convenience Center Console: Full With Covered Storage Cruise Control Cupholders: Front Door Pockets: Driver, Passenger And Rear Power Outlets: 2 Remote Trunk Release: Power Seatback Storage: 2 Steering Adjustment: Tilt-Adjustable Steering Power: Power Steering Power Mirrors: Power Remote Power Door Locks Windows: Power Windows Comfort Air Conditioning: Manual Air Filtration: Interior Air Filtration Center Console Trim: Simulated Wood Dash Trim: Leather Door Trim: Simulated Wood Mats: Carpet Front And Rear Reading Lights: Front And Rear Shift Knob: Plastic/Rubber Steering Wheel Trim: Leather Vanity Mirrors: Dual Illuminated Vanity Mirrors Features Bumpers: Body-Colored Door Reinforcement: Side-Impact Door Beam Safety NHTSA Passenger Grade: Good NHTSA Driver Grade: Excellent NHTSA Side Impact Back Grade: Excellent Turning Circle: 38 ABS: 4-Wheel Head Airbags: Curtain 1St And 2Nd Row Safety Locks Daytime Running Light Engine Immobilizer Headlights Auto Delay: Auto Delay Off Headlights Dusksensor: Dusk Sensing Front Headrests: Manual Adjustable Rear Headrests: 3 Rear Center Seatbelt: 3-Point Belt Safety Stability Control Driver and Passenger Airbag Side Airbag Stability Control Door Reinforcement: Side-Impact Door Beam Doors Rear Door Type: Trunk Side Door Type: Conventional Dimensions Front Head Room: 39.4 Inches Front Hip Room: 56.4 Inches Front Shoulder Room: 58.7 Inches Front Leg Room: 42.3 Inches Rear Head Room: 37.8 Inches Rear Hip Room: 57.2 Inches Rear Leg Room: 37.6 Inches Rear Shoulder Room: 58.6 Inches Luggage Capacity: 19 Cu.Ft. Length: 200.4 Inches Width: 72.9 Inches Height: 58.7 Inches Wheelbase: 110.5 Inches Ground Clearance: 7.1 Inches Curb Weight: 3,555 Lbs. Contact Lonestar Chevrolet 18900 Northwest Freeway Houston Texas 77065 View Map Ask for:Syed Jaffery Contact: ?Contact Us Main:(855) 583-5152 Hours Mon-Sat:09:00 AM-09:00 PM CST Sunday:Closed ?Credit Application ?Directions to Dealer ?Contact Us ? Apply Now Secure Credit Application Applying for a vehicle loan online is one of the quickest and easiest application methods. Our secure application is easy to complete, all you need are a few personal and employment details. Why buy from Lone Star Chevrolet Why Choose Lone Star Chevrolet? Lone Star Chevrolet is one of the top Chevrolet dealerships in the country. Our commitment to customer service is second to none. Our primary concern is the satisfaction of our customers. Our online dealership was created to enhance the buying experience for each and every one of our Internet customers.We can help you find exactly what you are looking for. We know your time is valuable. We are sure you will find our site a fast and convenient way to research and find a vehicle that's right for you. If we can be of any assistance while visiting us online, send us an emai and we will promptly reply. Lone Star Chevrolet has a full service Chevrolet car repair facility and a full selection of Chevrolet car parts for any needs in the future. Whether you are interested in a new Chevy or a used car or truck, we have financing that's just right for you. Whatever your automotive needs, Lone Star Chevrolet can help! Get Low Prices At Lone Star Chevrolet. Normal 0 false false false EN-US X-NONE X-NONE Terms Placing a Bid: Your bid constitutes a legally binding contract to purchase this vehicle. Please do not bid if you're not seriously interested or financially able to purchase this vehicle. 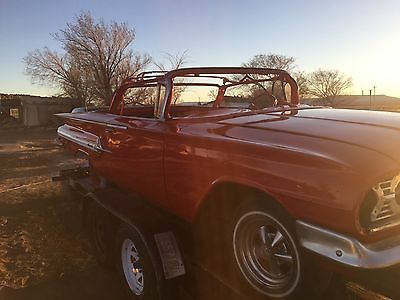 Please read eBay's User AgreementLonestar Chevrolet reserves the right to, Obtain and verify the registered information of all users who bid on this auction. Cancel any and all bids at our discretion, or end the auction early if necessary.Bidders Age: You must be 18 years of age or older to Bid. Special eBay Bid Retraction Rules: Please read eBay's "Retracting a Bid" If you place a bid before the last 12-hour period of the auction: You may retract that bid before that last 12-hour period but only for exceptional circumstances. You will not be allowed to retract that bid during the last 12-hour period of the auction. If you place a bid during the last 12-hour period of the auction: You will be allowed to retract the bid for exceptional circumstances but only if you do so within one hour after placing the bid.Funds & Financing: For help in arranging for a Pre-Approved loan or for any questions please e-mail or phone Syed Jaffery at (855) 583-5152 prior to bidding. Buyers Inspection: Lonestar Chevrolet has done our best to disclose all information known about this vehicle for auction. Lonestar Chevrolet welcomes a buyers inspection. If you plan to have a buyers inspection, please make sure you inspect the vehicle prior to the auction ending. Inspection fees if any are Buyers responsibility. Representations and Warranties made by seller: This vehicle is being sold "as is". Manufacturer's warranties may still apply. Extended warranty may be available, e-mail or phone Syed Jaffery at (855) 583-5152 for details. No representations or warranties are made by seller, nor are any representations or warranties relied upon by bidders in making bids. Taxes and Registration fees: Out of state buyers are responsible for all state, county, city taxes and fees, as well as title service fees in the state that the vehicle will be registered. All taxes and fees must be paid in full in order for vehicle to be titled and registered. Title Information: Vehicles titles may be held by banks or lenders as collateral for loans. In many cases there is a delay in receiving the original instruments up to 21 days from the time we pay a vehicle off. While we usually have all titles in our possession at closing, there are occasions where we may be waiting for them to arrive. If payment is made by cashier's or personal checks we will hold all titles for 10 days or until funds have cleared. Shipping & Delivery: All shipping charges are buyer's responsibility. Lonestar Chevrolet will help with shipping arrangements but will not be responsible in any way for claims arising from shipping damage!Licensed Carriers are generally insured for $3,000,000.00. We assume no responsibility for damages incurred after the vehicle leaves our showroom. All shipping arrangements are provided by Lonestar Chevrolet as a courtesy. We are not affiliated with any carrier. Any claims or other communication regarding shipment of vehicles will be between you and the shipper, not with Lonestar Chevrolet. The amount of time it takes for delivery is dependent on the carrier, but is generally 7-14 days from the date the vehicle is picked up from our facility until it is delivered to your destination. Verify with the shipper for an Estimate Time of Arrival to be sure. Finalizing your Purchase: Lonestar Chevrolet will contact the successful high bidder by e-mail after the auction closes. Successful high bidder MUST communicate with Syed at Lonestar Chevrolet by e-mail or phone (855) 583-5152 within 24 hours of the auction ending to make arrangements to complete their transaction. If we cannot confirm your intention to buy or the sale is not completed within 5 days, we reserve the right to relist this vehicle or sell to any other qualified buyer. In order to secure bid on vehicle, Successful bidder (BUYER) must within 24 hours of bid closing send to Seller a Deposit in the amount of 10% by major credit card, cash in person or bank certified funds. Within 72 hours of bid closing, Buyer must send balance of funds by cash in person or bank certified funds to Seller. At time of sending initial deposit, Buyer MUST fax copy of their State issued valid Driver License. Furthermore, before said vehicle is released for shipment to Buyer, all other Sale related and title related paperwork must be signed and returned complete to Seller. Copyright © 2017 Auction123 - All rights reserved. - Disclaimer +- Auction123 (a service and listing/software company) and the Seller has done his/her best to disclose the equipment/condition of this vehicle/purchase. However, Auction123 disclaims any warranty as to the accuracy or to the working condition of the vehicle/equipment listed. The purchaser or prospective purchaser should verify with the Seller the accuracy of all the information listed within this ad. Selling a Vehicle? Create Professional Listings Fast and Easy. Click Here! James Mack (317) 748-9474 2712 East Main Street Plainfield Indiana 46168 ? ? ? ? 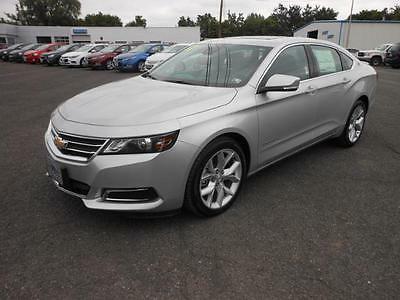 2014 Chevrolet Impala Sedan LS w/1LS Vehicle Information VIN: 2G11Y5SL2E9110622 Stock: PV4895 Mileage: 32,465 Color: Champagne Silver Metallic Trans: 6-Speed Automatic Electronic with Overdrive Engine: ECOTEC 2.5L I4 DGI DOHC MPG: 21 City / 31 Highway Drivetrain: FWD Description New Price! Priced below KBB Fair Purchase Price! 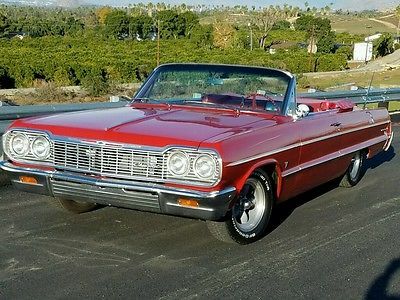 Chevrolet Impala Clean CARFAX. CARFAX One-Owner. Odometer is 3340 miles below market average! **Bluetooth**, **Accident Free Carfax History Report**, **1 Owner**. 31/21 Highway/City MPG Reviews: * Bold new style; excellent highway ride; refined interior; ample convenience features and safety technology; plenty of rear-seat room. according to Edmunds * Vision is the cornerstone of good design and at the core of fearless innovation. The all-new 2014 Impala is proof of that, combining superior materials with meticulously crafted technology. It's a striking departure from the status quo. The powerdome hood, wide chrome grille, projector-beam headlamps and available LED daytime running lamps project the bold new face of Chevrolet. The provocative silhouette, sculpted bodysides and a choice of 18-, 19- or 20-inch wheels contribute further to its dramatic appearance and head-turning profile. The Impala interior has been transformed into a carefully crafted, exquisitely detailed environment with the driver's comfort and peace of mind its focus. A dramatic and innovative reinterpretation of the classic Chevrolet "œdual-cockpit" instrument panel flows seamlessly around the driver, while visual accents such as available soft ice-blue ambient lighting ignite the senses. And with thoughtful design along with ingenuity, the 2014 Impala is spacious and comfortable, offering ample room for five passengers. At the heart of Impala is the acclaimed 3.6L V6 engine boasting 305 horsepower and 0-60 mph in just 6.8 seconds. Direct Injection injects fuel closer to the combustion chamber for an efficient, powerful "œburn. " The available engine's refined power and finely tuned precision contribute to the confident and strong ride Impala is known for, while preserving impressive efficiencies such as an EPA-estimated 29 MPG highway. The latest evolution of available Chevrolet MyLink infotainment is here and premiering in the 2014 Impala. Customize your driving experience by arranging the icons and features on your available 8-inch color touch-screen. It features an all-new intuitive interface with the latest, easy-to-use technologies. Put simply: it's cutting-edge technology simplified. It's highly customizable so you can personalize the system to your preferences, and capable of linking up to 10 devices. as stated by The Manufacturer Summary Awards: * 2014 KBB.com 12 Best Family Cars * 2014 KBB.com 5-Year Cost to Own Awards * 2014 KBB.com 10 Most Comfortable Cars Under $30,000 * 2014 KBB.com Brand Image Awards Come see the all new beautiful Andy Mohr Chevrolet showroom in Plainfield, Indiana where you get MOHR FOR YOUR MONEY! Message ? ? Options and Standard Features Options ? 100-Watt 6-Speaker System ? 4.2" Diagonal Color Infotainment Display ? 6 Speakers ? Am/Fm Radio: Siriusxm ? Am/Fm Stereo W/Cd Player ? Cd Player ? Mp3 Decoder ? Radio Data System ? Siriusxm & Hd Radio ? Usb Port ? Air Conditioning ? Rear Window Defroster ? 8-Way Power Driver Seat Adjuster ? Power Driver Seat ? Power Steering ? Power Windows ? Remote Keyless Entry ? Steering Wheel Mounted Audio Controls ? Four Wheel Independent Suspension ? Speed-Sensing Steering ? Traction Control ? 4-Wheel Disc Brakes ? Abs Brakes ? Dual Front Impact Airbags ? Dual Front Side Impact Airbags ? Emergency Communication System ? Front Anti-Roll Bar ? Knee Airbag ? Low Tire Pressure Warning ? Occupant Sensing Airbag ? Overhead Airbag ? Rear Anti-Roll Bar ? Rear Side Impact Airbag ? Brake Assist ? Electronic Stability Control ? Delay-Off Headlights ? Fully Automatic Headlights ? Panic Alarm ? Speed Control ? Bumpers: Body-Color ? Power Door Mirrors ? Driver Door Bin ? Driver Vanity Mirror ? Front Reading Lights ? Illuminated Entry ? Overhead Console ? Passenger Vanity Mirror ? Premium Cloth Seat Trim ? Rear Reading Lights ? Rear Seat Center Armrest ? Tachometer ? Telescoping Steering Wheel ? Tilt Steering Wheel ? Trip Computer ? Driver 4-Way Power Lumbar Seat Adjuster ? Front Bucket Seats ? Front Center Armrest ? Split Folding Rear Seat ? Passenger Door Bin ? Wheels: 18" Steel W/Fascia-Spoke Covers ? Variably Intermittent Wipers ? **Bluetooth** ? **Accident Free Carfax History Report** ? **1 Owner** ? **Great Service History** ? **Must Go** ? 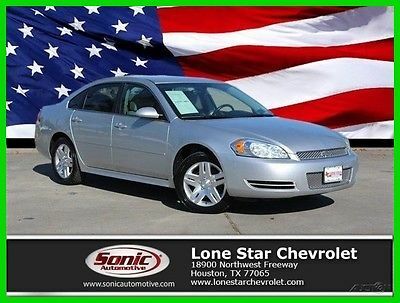 **Reduced Price** Basic Information Stock Number: PV4895 VIN Number: 2G11Y5SL2E9110622 Style Name: Sedan LS W/1LS Make: Chevrolet Model: Impala Model Year: 2014 Vehicle Type: Sedan Vehicle Trim: LS Exterior Color: Champagne Silver Metallic Body Type: Sedan Interior Color: Jet Black Engine MPG Automatic City: 21 MPG Automatic Highway: 31 Engine Description: ECOTEC 2.5L I4 DGI DOHC Fuel Type: Gas Fuel Induction: Direct Gasoline Injection Valves Per Cylinder: 4 Aspiration: Normal DriveTrain Driven Wheels: Front-Wheel Transmission: 6-Speed Automatic Electronic With Overdrive Wheels Rims: Steel Wheels Spare Rim Type: Steel Drive Train Type: FWD Suspension Independent Suspension: Four-Wheel Stabilizer Bar: Front And Rear Instrumentation Clock Low Fuel Level Tachometer Trip Computer Roof and Glass Front Wipers: Variable Intermittent Privacy Glass: Light Rear Defogger In Car Entertainment Antenna Type: Window Grid Audio System: Siriusxm AM/FM/HD/Satellite Speakers: 6 Seats Drivers Height: Power Drivers Lumbar: Power 4-Way Drivers Power: 8 Seating Capacity: 5 Front Seat Type: Bucket Upholstery: Cloth Center Armrest Folding: Fold Forward Seatback Convenience Center Console: Full With Storage Cruise Control Cupholders: Front And Rear Door Pockets: Driver, Passenger And Rear Overhead Console: Mini Power Outlets: 3 Remote Trunk Release: Power Seatback Storage: 2 Steering Adjustment: Tilt And Telescopic Steering Power: Speed-Proportional Electric Power Steering Power Mirrors: Power Remote Power Door Locks Windows: Power Windows Satellite Communication: Onstar Directions & Connections Comfort Air Conditioning: Manual Air Filtration: Interior Air Filtration Trunk Lights: Cargo Area Light Center Console Trim: Simulated Wood/Metal-Look Dash Trim: Metal-Look/Piano Black Door Trim: Simulated Wood/Metal-Look Mats: Carpet Front And Rear Reading Lights: Front And Rear Shift Knob: Urethane Steering Wheel Trim: Urethane Vanity Mirrors: Dual Illuminated Vanity Mirrors Features Bumpers: Body-Colored Door Reinforcement: Side-Impact Door Beam Safety NHTSA Passenger Grade: Good NHTSA Driver Grade: Excellent NHTSA Side Impact Front Grade: Good NHTSA Side Impact Back Grade: Excellent Turning Circle: 38.6 ABS: 4-Wheel Head Airbags: Curtain 1St And 2Nd Row Brake Assist: Braking Assist Safety Locks: Power Daytime Running Light Engine Immobilizer Headlights Auto Delay: Auto Delay Off Headlights Dusksensor: Dusk Sensing Front Headrests: Manual Adjustable Rear Headrests: 2 Rear Center Seatbelt: 3-Point Belt Safety Stability Control Driver and Passenger Airbag Side Airbag Stability Control Door Reinforcement: Side-Impact Door Beam Doors Rear Door Type: Trunk Side Door Type: Conventional Dimensions Front Head Room: 39.9 Inches Front Hip Room: 54.9 Inches Front Shoulder Room: 57.9 Inches Front Leg Room: 45.8 Inches Rear Head Room: 37.4 Inches Rear Hip Room: 54.1 Inches Rear Leg Room: 39.8 Inches Rear Shoulder Room: 56.9 Inches Luggage Capacity: 19 Cu.Ft. Length: 201.3 Inches Width: 73.0 Inches Height: 58.9 Inches Wheelbase: 111.7 Inches Message ? Apply Now Secure Credit Application Applying for a vehicle loan online is one of the quickest and easiest application methods. Our secure application is easy to complete, all you need are a few personal and employment details. Contact Andy Mohr Chevrolet 2712 East Main Street Plainfield Indiana 46168 View Map Ask for:James Mack Contact: ?Contact Us Primary Phone:(317) 748-9474 Hours Mon-Thurs:08:30am-08:00pm EST Fri, Sat:08:30am-06:00pm EST Sunday:Closed ?Credit Application ?Directions to Dealer ?Contact Us Terms Placing a Bid: Your bid constitutes a legally binding contract to purchase this vehicle. Please read eBay's User AgreementPayment Methods: Cash (in person), certified check, personal check, or 3rd party financing. All funds must be in US dollars only. Please be sure to have the full payment and/or approved financing in place before making your final bid. If you need assistance with getting approved for financing, please call James at 317-748-9474Deposit: We do not take deposits to hold vehicles for days. There have been situations in the past where we take a deposit to hold a vehicle and the deal never gets finalized and we have refunded the deposit and miss out on other opportunities. If we overnight paperwork and get the signed paperwork and payment we will hold the vehicle while pick up arrangements are made.Payment of Balance Due: The buyer agrees to pay the remaining balance due (plus applicable fees and taxes) within 5 business days (Monday-Saturday) of the close of the auction. All financial transactions must be completed before delivery of the vehicle.Additional Fees and Taxes: There is a $199 document fee that will be added to the winning bid. This fee covers all paperwork fees, temporary tags, eBay item costs, and security policy. We are required to collect Indiana state sales tax (7%) and Indiana DMV fees for all transactions for Indiana residents. Notice to out of state buyers: We are required to collect your local state and county sales tax for where the vehicle is going to be registered. Out of state buyers will be provided a form to take to their DMV showing sales tax has been collected. There are 6 states that do not accept a 3rd party (dealer) paying the taxes, so for those 6 states we have to ship the vehicle to you. Any buyer who is using a shipping company to ship the vehicle does not have to pay sales tax, and would only pay the document fee and shipping fee.Andy Mohr Chevrolet reserves the right to, Obtain and verify the registered information of all users who bid on this auction. Cancel any and all bids at our discretion, or end the auction early if necessary.All vehicles are available locally and are subject to sale prior to the auction end. Please contact our eBay manager to confirm a vehicles availability.Bidders Age: You must be 18 years of age or older to Bid. Special eBay Bid Retraction Rules: Please read eBay's "Retracting a Bid" If you place a bid before the last 12-hour period of the auction: You may retract that bid before that last 12-hour period but only for exceptional circumstances. You will not be allowed to retract that bid during the last 12-hour period of the auction. If you place a bid during the last 12-hour period of the auction: You will be allowed to retract the bid for exceptional circumstances but only if you do so within one hour after placing the bid.Funds & Financing: For help in arranging for a Pre-Approved loan or for any questions please e-mail or phone James at (317) 748-9474 prior to bidding. Buyers Inspection: Andy Mohr Chevrolet has done our best to disclose all information known about this vehicle for auction. Andy Mohr Chevrolet welcomes a buyers inspection. If you plan to have a buyers inspection, please make sure you inspect the vehicle prior to the auction ending. Inspection fees if any are Buyers responsibility. Representations and Warranties made by seller: This vehicle is being sold "as is". Manufacturer's warranties may still apply. Extended warranty may be available, e-mail or phone James at (317) 748-9474 for details. No representations or warranties are made by seller, nor are any representations or warranties relied upon by bidders in making bids. Taxes and Registration fees: Out of state buyers are responsible for all state, county, city taxes and fees, as well as title service fees in the state that the vehicle will be registered. All taxes and fees will be collected prior to delivery. Title Information: Vehicles titles may be held by banks or lenders as collateral for loans. In many cases there is a delay in receiving the original instruments up to 21 days from the time we pay a vehicle off. While we usually have all titles in our possession at closing, there are occasions where we may be waiting for them to arrive. If payment is made by cashier's or personal checks we will hold all titles for 10 days or until funds have cleared. Shipping & Delivery: All shipping charges are buyer's responsibility. Andy Mohr Chevrolet will help with shipping arrangements but will not be responsible in any way for claims arising from shipping damage!Licensed Carriers are generally insured for $3,000,000.00. We assume no responsibility for damages incurred after the vehicle leaves our lot. All shipping arrangements are provided by Andy Mohr Chevrolet as a courtesy. We are not affiliated with any carrier. Any claims or other communication regarding shipment of vehicles will be between you and the shipper, not with Andy Mohr Chevrolet. The amount of time it takes for delivery is dependent on the carrier, but is generally 7-14 days from the date the vehicle is picked up from our facility until it is delivered to your destination. Verify with the shipper for an Estimate Time of Arrival to be sure. Finalizing your Purchase: Andy Mohr Chevrolet will contact the successful high bidder by e-mail or phone after the auction closes. Successful high bidder MUST communicate with James at Andy Mohr Chevrolet by e-mail or phone (317) 748-9474 within 24 hours of the auction ending to make arrangements to complete their transaction. If we cannot confirm your intention to buy or the sale is not completed within 5 days, we reserve the right to relist this vehicle or sell to any other qualified buyer. Copyright © 2017 Auction123 - All rights reserved. - Disclaimer +- Auction123 (a service and listing/software company) and the Seller has done his/her best to disclose the equipment/condition of this vehicle/purchase. However, Auction123 disclaims any warranty as to the accuracy or to the working condition of the vehicle/equipment listed. The purchaser or prospective purchaser should verify with the Seller the accuracy of all the information listed within this ad. Selling a Vehicle? Create Professional Listings Fast and Easy. Click Here! 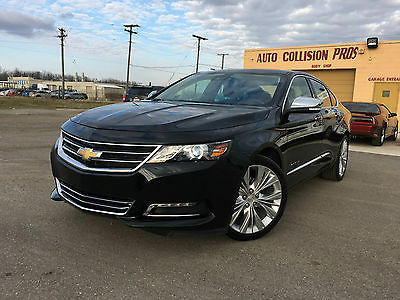 2015 Chevrolet Impala LTZ W/2LZ 2015 Chevrolet Impala LTZ / 2LZ package fully loaded like new rebuilt title !!! Due to recent high number of non paying bidders and buyers, please only bid, offer, call or email if you are a serious buyer with funds ready, These listings cost money. Please call or email if not sure about something after you have read the description and checked out all photos provided. Thank you and God Bless. 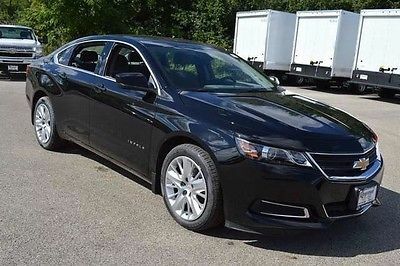 Vehicle : 2015 Chevrolet Impala LTZ with 2LZ package , fully loaded with options, 3.6L V6, rebuilt title, ProGuard power train warranty included, very clean in and out, just beautiful with an elegant color combination. With only 16K miles, this one owner vehicle is like new, with original window sticker of $40,000. This is a great deal, take advantage of this as I always list vehicles online with great savings. 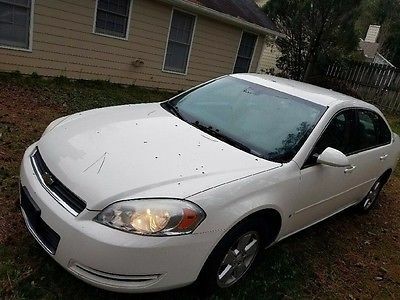 Condition : The Impala is in superb shape in and out, very nice and clean with no damage or any signs of wear, very nice glossy black paint, with elegant premium perforated black leather interior that sticks out real nice. Interior is in flawless condition. Drive train : It's powered by the popular 3.6L V6 engine that delivers high horsepower and torque, coupled with a 6-speed auto trans, and front wheel drive for the best handling and traction. Plenty of power delivered by the power train yet efficient. Options and Features : Back up cameraCross traffic alertEZ key (keyless entry with push to start)Panoramic roofFactory remote start Voice activated, Bluetooth HID xenon headlightsPower heated / cooled and memory front seats Heated steering wheelClimate control Premium 20 inch wheels Park aid sensors Blind spot alert systemUSB and AV inputsPower trunk lidBose sound system Navigation systemCollision alert systemLane keeping systemPower adjustable tilt steering wheeland much more..........Title / Paper work : The Impala will come with a rebuilt title ready to be registered in any state as the state inspection has been completed and passed 100%. Please allow 7 to 10 business days for the title to arrive after payment has cleared. The reason for rebuilt title is the history as we have purchased this vehicle with some damage to the left side (side swipe), left side front and rear doors were replaced and brought back to factory specs, it's a 100%. We bought it in a "run and drive" condition, it had absolutely no frame damage, no airbags deployed, in my professional opinion it was minor to moderate, and it shouldn't have been salvaged but that's what the insurance companies are doing these day. Temp tags are available. I don't charge any other fees at all. NO DOC FEES. The deal :Please call me direct with any questions you may have, I have it priced low for a quick sale, please keep in mind a similar vehicle with the same package and mileage is worth around $28,000, again take advantage of this great deal, absolutely no disappointments, I have been selling on eBay for over 17 years with a 100% positive feedback. Thanks for your interest, Chad 313-401-1461. Hi, my name is Chad. I own a small auto shop in Romulus, MI.My crew and I take pride in our work, the honest way, we seek perfection in completing every single job. I have been selling vehicles locally and online since 2000, with an outstanding reputation and referrals from almost every customer, we guarantee satisfaction.I hand pick the vehicles I buy, I usually pick lightly damaged vehicles with very low miles, and most of my vehicles are only a few months old up to two years old. That's how we forward the savings to you the customer and we keep our shop rolling by covering our overhead. The savings are great averaging between $5,000 and $15,000 off the MSRP or window sticker. All work performed in my shop comes with a 5 year warranty. Paper work and invoices are available with every vehicle to show the work that was done. My reputation and excellent feedback doesn't come without an unparalleled dedication to honesty, integrity, and a commitment to fair trading. I take pride in this and you should too ! 1958 convertible conversion. The cars has the trunk braces welded in the car is a rolling chadsey project with pretty much all the moldings except the driver door and both long quarter panel moldings. And missing the windshield moldings. 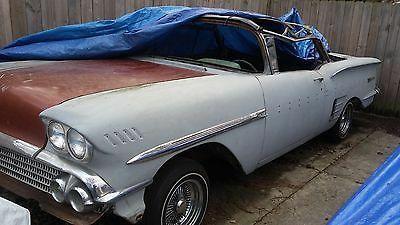 Car has a clear 58 convertible title without a vin. The car is a project. No seats but I have a front seat available. No refunds on the deposit or the car itself. Serious inquiries only! Do not waste your or my time if you can't afford it. Thank you for looking. Any questions ask for tony 313 903 2064.